It’s amazing how much nutrition you can pack into a small garden if you plan (and plant) well. 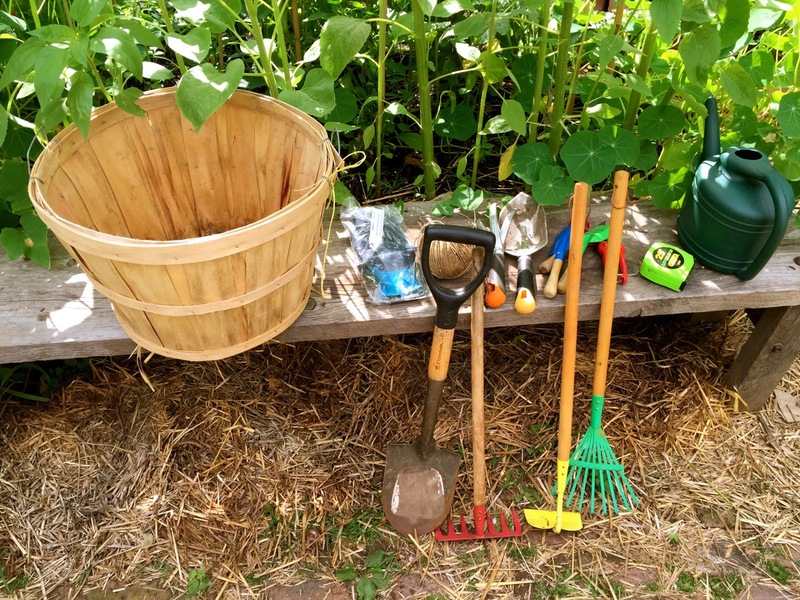 Here’s just a sample from an almost endless list of what you can grow in a NYC garden plot, along with some basic nutritional benefits and recipe ideas for each—a true culinary and nutritional cornucopia of healthy and delicious food grown right in your own neighborhood. 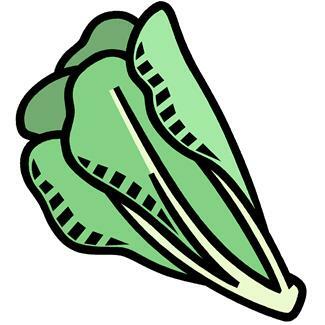 (As the season elapses, I’ll replace each of the clip art with photos of the real vegetable as we harvest each). Excellent source of vitamins A, C and K, folic acid, calcium, manganese, and magnesium. Also a very good source of potassium, iron, zinc, riboflavin, and copper. Anti-oxidant and detoxifying properties. Yummy ways to use arugula: salads, pasta dishes, and pesto. May be the world’s most perfect food—packed with low-fat protein, folate, and fiber. potassium, B vitamins, magnesium, iron, calcium, and phosphorus. 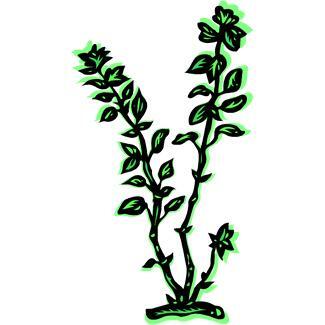 Has lysine, an amino acid not commonly found in plants. Literally a fat-burner, the fiber controls appetite and is great for diabetics because it helps control sugar levels. Lowers and blood pressure and cholesterol, cleans up cholesterol-containing bile and drains it out of the body before it is absorbed—can lower cholesterol up to 10% in 6 months by eating 1 cup of beans/day. Yummy ways to use beans: too many to list, but a few include soups and stews, chili, dips and spread, salads, wrapped in corn or flour tortillas. Green beans are great steamed with lemon or sautéed with garlic, or in a casserole with onions, low fat milk and low fat cheese. The greens are rich in iron, calcium, and Vitamins A and C. Beetroots are an excellent source of folic acid and a very good source of manganese, potassium, and fiber. 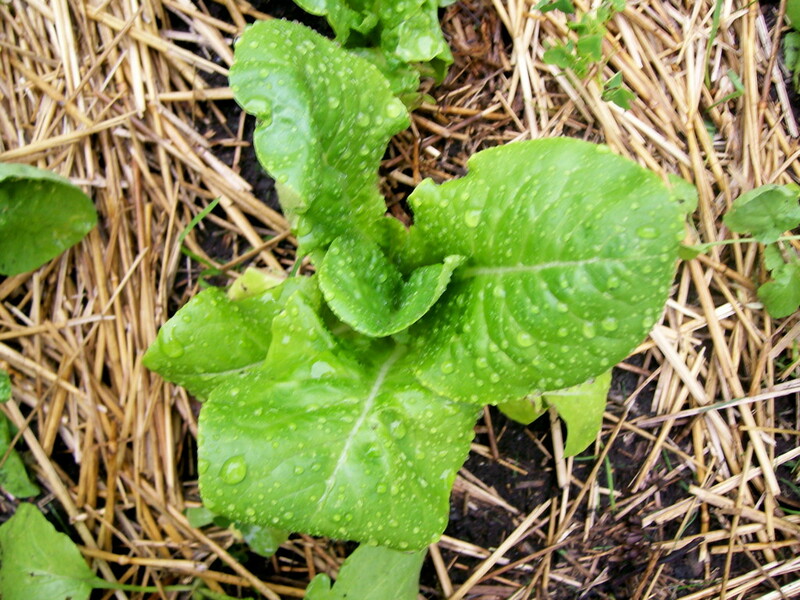 Both the greens and roots are a good source of phosphorus, magnesium, iron, and vitamin B 6. Detoxifying and because of its dark color, a very powerful cancer-fighter. 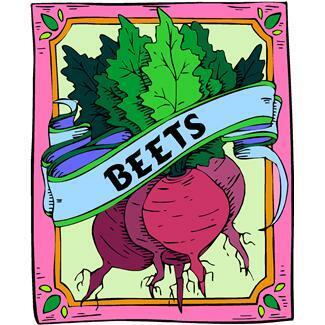 Yummy ways to use beets: shredded raw in a salad, beet chips, beet “burgers,” beet cookies. 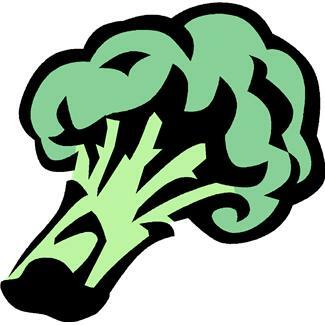 Broccoli is low in calories and is one of the most nutrient-dense foods. It’s an excellent source of vitamins A, C, and K, folic acid, and fiber. It’s also a good source of potassium, phosphorus, magnesium, and the vitamins B6 and E. Broccoli also has tremendous anticancer effects. Yummy ways to use broccoli: roasted broccoli florets, broccoli and low fat cheese stuffed baked potatoes, broccoli and cottage cheese in pasta. Cabbage is a low calorie, nutrient-dense food that offers an excellent source of many nutrients including vitamin C, folic acid, potassium, vitamin B6, calcium, biotin, magnesium, and manganese. Along with its nutrient content, cabbage contains phytochemicals. Cabbage contains powerful anticancer compounds known as glucosinolates. Great detoxifier and even helps treat ulcers. Yummy ways to use cabbage: cabbage and apple Cole slaw, curried cabbage, kim chee (spicy!). Carrots provide the highest amount of Vitamin A of all vegetables. Carrots also offer an excellent source of fiber, vitamin K, and biotin. They are a good source of vitamins B6 and C, potassium, and thiamine. Great for your vision, cancer and heart disease prevention. 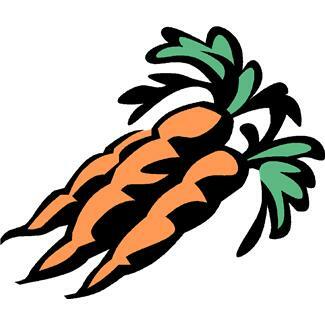 Yummy ways to use carrots: soup, snacks, carrot and raisin salad, carrot muffins and pancakes. 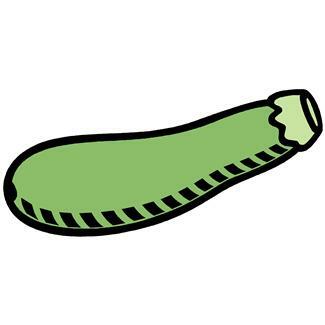 The flesh of cucumbers is a very good source of vitamins A, C, and folic acid. EAT THE PEEL! It is rich in fiber and a variety of minerals including magnesium, silica, molybdenum, and potassium. Helps strengthen your body’s connective tissue, prevent water retention and great for your skin. 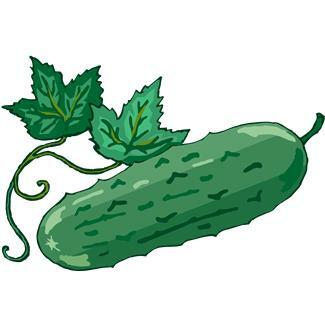 Yummy ways to use cucumbers: pickles, salads, as a snack with yogurt and dill dip. Low in calories and high in fiber, with a trace of healthy fats. One serving packs 11 g of complete protein, containing all of the essential amino acids. That much protein in a plant-based source is a vegetarian’s dream. It also provides 9 g of fiber. That’s more fiber than you find in the fiber bars in the breakfast aisle. It also contains 10 percent of your daily values of vitamin C and iron, 8 percent of your daily dose of vitamin A and 4 percent of calcium. 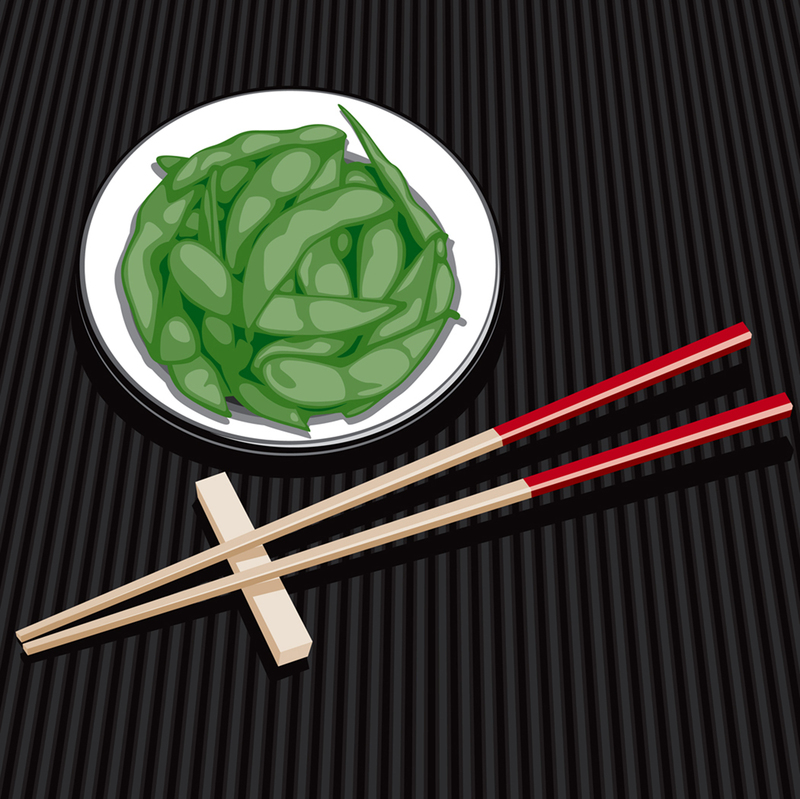 It also serves as a source of vitamin K and folate. 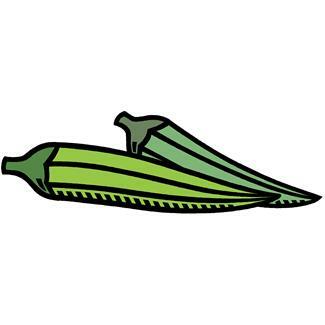 Yummy ways to use edamame: Fun snack on its own (just boil with a little salt), edamame hummus, Edamame and squash stew, and edamame and corn succotash. Eggplants are low in calories and are an excellent source of dietary fiber. They are also a very good source of potassium and vitamins B1 and B6. 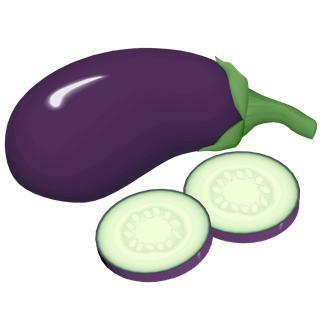 Eggplants are also a good source of folic acid, magnesium, copper, manganese, and niacin. Eggplant skins contain a substance called nasunin, a potent antioxidant and free-radical scavenger that can protect our cell membranes from damage. Nasunin also helps to move excess iron out of the body. Yummy ways to use eggplant: Babaganoush, eggplant parmesan, grilled or roasted with mint, eggplant lasagna/moussaka, eggplant caponata with olives, eggplant stuffed with tomatoes, onion, garlic and parmesan cheese. Greens play a major role in cancer fighting and prevention. They are an excellent source of vitamins A, B, C, E, and K, fiber, beta-carotene, iron, calcium, potassium, magnesium, lutein, folate, and chlorophyll. They boost the immune system and lower the incidence of some cancers. They also support cardiovascular health, build bones, and fight birth defects. 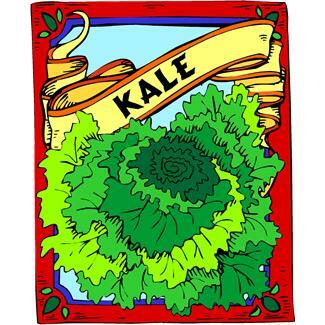 Yummy ways to use greens: Kale chips (in oven), Mac and greens, banana and greens smoothie, slow-cooked with beans, meatball and Swiss chard soup. Almost all herbs and some flowers have health benefits and many are used to treat illnesses and symptoms. This is a whole subject area in itself, the many health benefits of herbs and flowers. Typically, anti-inflammatory and antioxidant properties, pain relieving, lowers cholesterol, good for hormonal and sugar level balance. Yummy ways to use herbs and flowers: WAY too many to list—use in almost any recipe, depending on flavor desired and/or recipe specifications. In soups, salads, marinades, on chicken, meat and fish, with roasted vegetables, with cheese, dips, spreads, sauces. 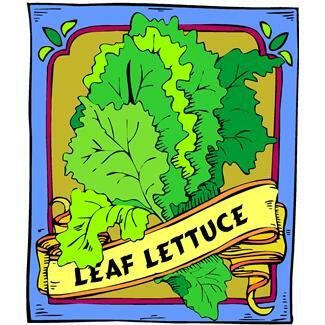 All lettuce is a good source of chlorophyll and vitamin K. Great for healthy blood, fights bad breath and infections. Romaine lettuce is the most nutrient-dense of all the lettuce varieties and is an excellent source of vitamins A, B1, B2, and C, folic acid, manganese and chromium. Yummy ways to lettuce: Salads, in sandwiches and tacos, as a wrap for tuna or chicken salads or stir-fries, in smoothies. Okra is low in calories and is a good source of many nutrients including vitamin B6 and C, fiber, calcium, and folic acid. Helps prevent defects in developing fetuses. Yummy ways to use okra: Okra nuggets, pickled okra, Creole style okra, and gumbo. Onion family includes leeks, scallions and shallots. Onions are a very good source of vitamins B6 and C, chromium, biotin, and fiber. They are also a good source of folic acid and vitamins B1 and K. Like garlic, onions and onion extracts decrease blood lipid levels, prevent clot formation, and lower blood pressure. Can help lower blood sugar levels and even relieve asthma. Yummy ways to use onions: One of the workhorses of cooking—in SO many recipes for flavor, part of the “mirepoix” of classic French cooking. As a feature, use in dips, soups, stir fries, on pizza, creamed and baked, green onion pesto. 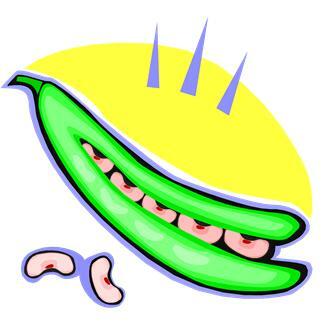 Peas are lower in calcium and phosphorus than beans, but they provide similar levels of protein and carbohydrates. They are a good source of protein, B vitamins, magnesium, phosphorus, manganese, iron, and potassium. Dried peas are an excellent source of fiber. Green peas are a good source of vitamin C, vitamin K, and carotenes. Yummy ways to use peas: Cold or hot pea soups or add to other soups, stews, salads, pasta and rice dishes, stir-fries and casseroles. On crostini with mint, as a stuffing for ravioli. One of the most nutrient-dense foods available, they provide a good source of vitamin B6, C, and K, beta-carotene, thiamine, and folic acid. They provide exceptional antioxidant activity. Red peppers also contain lycopene, which is a carotene that offers protection against cancer and heart disease. Peppers, especially hot peppers also contain capsaicin, a very strong anti-inflammatory substance, which also helps prevent blood clot formation and reduce the risk of heart attacks and strokes. 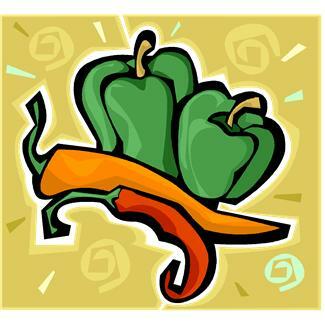 Yummy ways to use peppers: Raw as a snack, with dips or in salads, roasted and put in sandwiches or pureed into a dip, on pizzas, in fajitas or quesadillas, stuffed with rice, goat or other cheese and cilantro, chicken sausage and pepper bake. LOTS of Vitamin C, especially in the greens. Great for liver and gallbladder. Cancer-preventive properties. 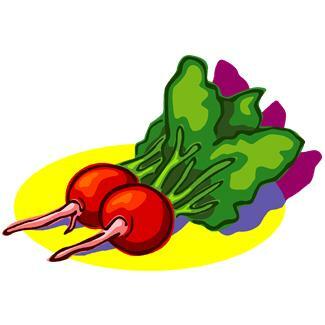 Yummy ways to use radishes: Snacks with a healthy dip, in salads and stir-fries, roasted in the oven with garlic, PERFECT with tuna fish or chicken salad. Higher levels of Vitamin C, fiber, folate and potassium than most other fruits like bananas, apples and even oranges. According to one study, eating one serving (about 8-10 strawberries) a day can significantly decrease blood pressure. Other studies showed additional benefits: Strawberries are found to reduce risk of cancer, enhance memory function and rheumatoid arthritis. 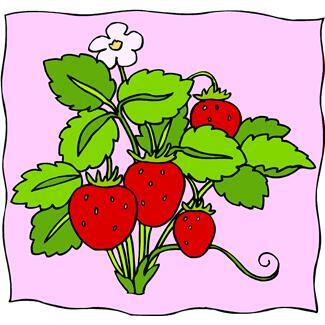 Yummy ways to use strawberries: Fresh as a snack, in cereal, in smoothies, make your own jam/compote, strawberry shortcake on shortbread, fresh with balsamic vinegar, pepper and mint (yes!). High water content, so good in summer months for hydrating. Very low in calories, and provides a decent amount of vitamin C, potassium, and carotenes. Very low in calories and are packed with nutrition, especially when they are fully ripe. 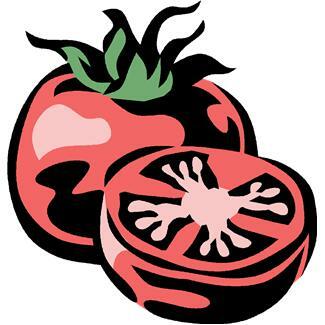 Tomatoes provide an excellent source of vitamins C and K, carotenes (especially lycopene), and biotin. They are also a very good source of vitamin B6, niacin, folic acid, fiber, and pantothenic acid. Yummy ways to use tomatoes: Raw as a snack (especially cherry and grape tomatoes), bruschetta with tomatoes, whole wheat pasta with fresh tomato sauce, tomato, basil and peach salad, tomatoes stuffed with tuna and peas, grilled cheese and tomato sandwiches, salsa, tomato soup, gazpacho, tomato juice, slow roasted tomatoes in sandwiches, the list in endless! Excellent source of vitamin C, fiber, folic acid, manganese, pantothenic acid, and copper. They also offer a very good source of thiamine, potassium, niacin, and magnesium. In addition, they are a good source of vitamin B6 and E, folic acid, and riboflavin. 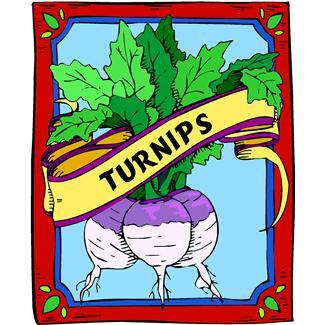 Turnip greens are more nutrition dense than the root. 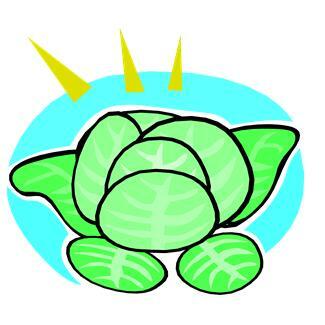 The greens provide an excellent source of vitamins A, B6, C, E, folic acid, calcium, copper, fiber, and manganese. Yummy ways to use turnips: Roasted turnips, tangy turnip salad, turnip chips, and scalloped turnips. 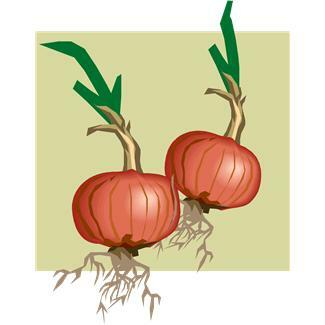 The winter squash group includes pumpkin, acorn, butternut, and spaghetti squash. Winter squash, like other richly colored vegetables, provide an excellent source of carotenes. Generally, the richer the color, the richer the concentration. They also offer a very good source of vitamins B1 and C, folic acid, pantothenic acid, fiber, and potassium. Winter squash are also a good source of vitamin B6 and niacin. Yummy ways to use winter squash: Roasted in the oven with sweet spices like cinnamon, ginger, allspice or curry. Steamed and pureed into a soup or mashed with spices and a little honey or maple syrup. As a filling for ravioli, a substitute for sweet potatoes or in baked goods. Previous Previous post: Hot Weather Accelerates Planting Schedule – All Bales Planted!